This 60-minute treatment will leave your skin feeling and looking brighter, clearer, and more youthful. A combination of microdermabrasion, the unique approach of removing dead and dull skin cells, and our signature facial, including extractions and a custom mask, will stimulate production of fresh young skin cells and collagen. The Ultimate in facial revitalization without surgery. The non-invasive Bio-Ultimate Age Defying Facial is a complete and comprehensive service that targets fine lines and wrinkles, improves skin tone and elasticity, and offers intense hydration. Designed to detoxify, nourish and hydrate the skin at cellular level, this effective while pampering treatment uses oxygen therapy to treat acneic, weathered skin, but is beneficial to all skin types. 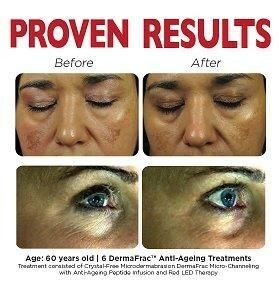 Photo rejuvenation to work on pigmentation and acne breakouts. This light treatment is designed with NASA’s latest technology. The Blue light kills bacteria caused by break outs. Red light works to heal the infection while also working on scarring or pigmentation irregularities due to sun exposure or hormonal imbalances. It is a very relaxing treatment designed to heal the skin. Recommended for all skin types. Can be used as a stand alone treatment or an add on to any of our other services. These 60 minute PCA Peel is designed to hydrate your skin, work on pigmentation and address acne issues. With an added head, neck and shoulder massage. Recommended for all skin types, especially oily prone or loss of elasticity. The lightest Skin Medica peel; appropriate for first-time chemical-peel patients looking for a gentle superficial peel to make their skin brighter and more radiant.